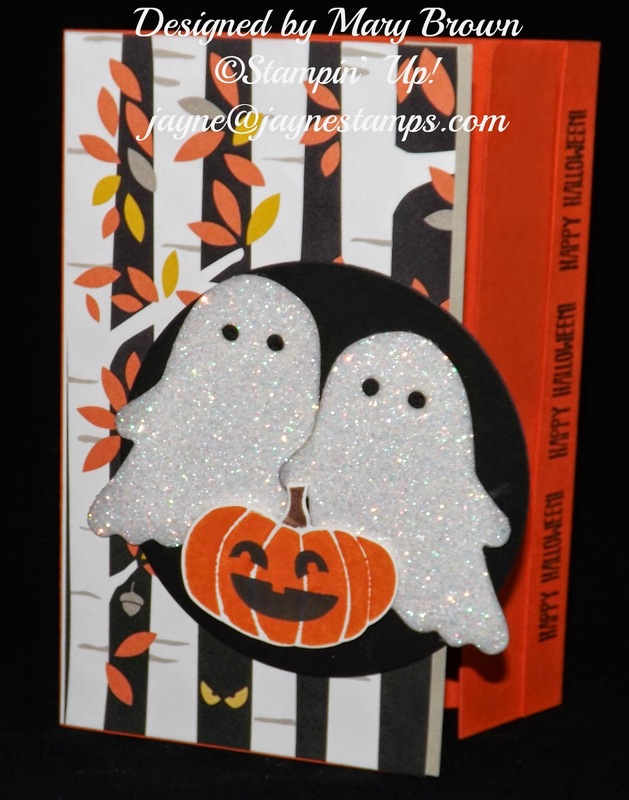 Today's cards are all made with the Fall Fest stamp set and coordinating Fun Fall Framelits Dies. This set is so adorable and so much fun to stamp with! Most of them also use the Motley Monsters DSP. Too cute! 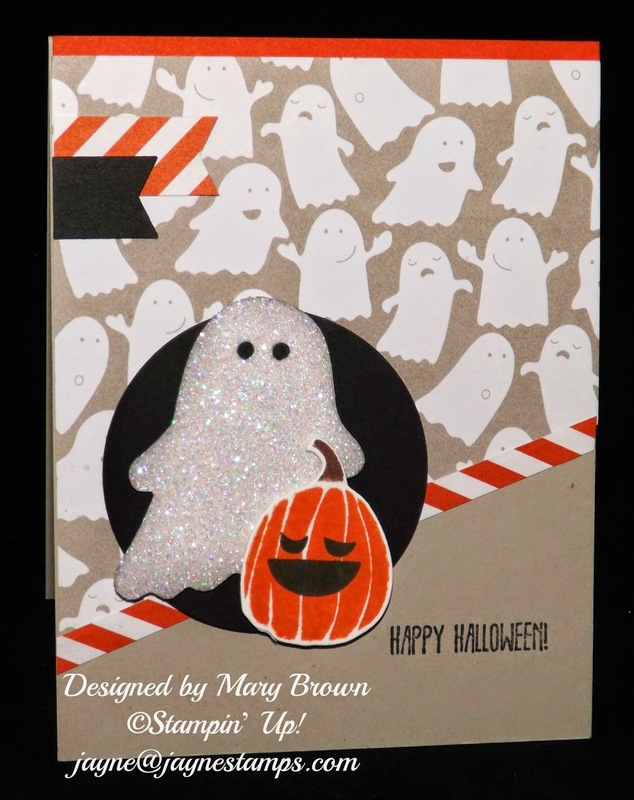 The ghosts are cut from our new Dazzling Diamonds Glimmer Paper and the edges are sponged with Basic Grey. I really like the paper above with the stacked birds. 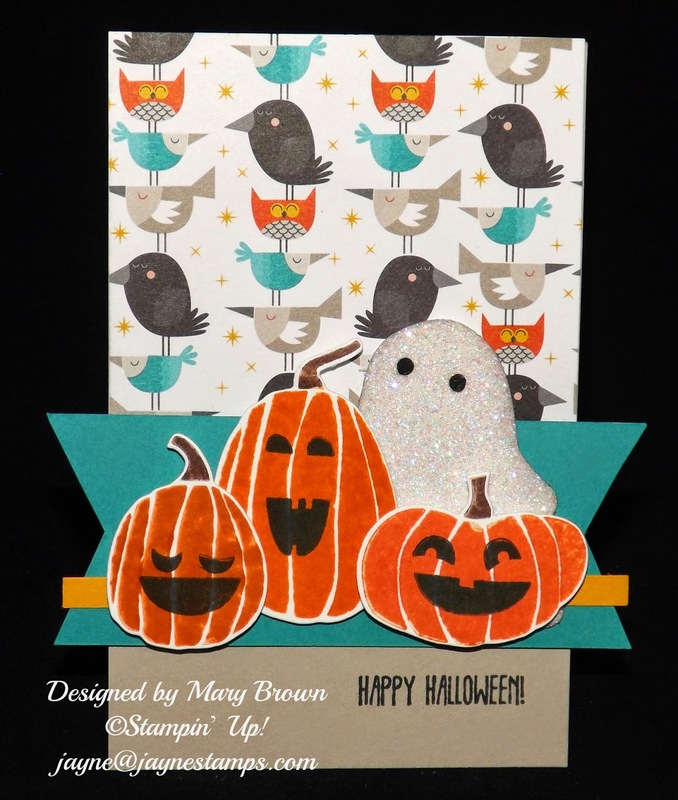 The pumpkins above are each stamped in a different color - Tangerine Tango, Tangelo Twist, or Pumpkin Pie. This stamp set is in photopolymer, so it's a snap to line up the faces on the pumpkins. This last card uses one of the papers from Motley Monsters, but the faces were stamped on it with Daffodil Delight, Pumpkin Pie, and Coastal Cabana. 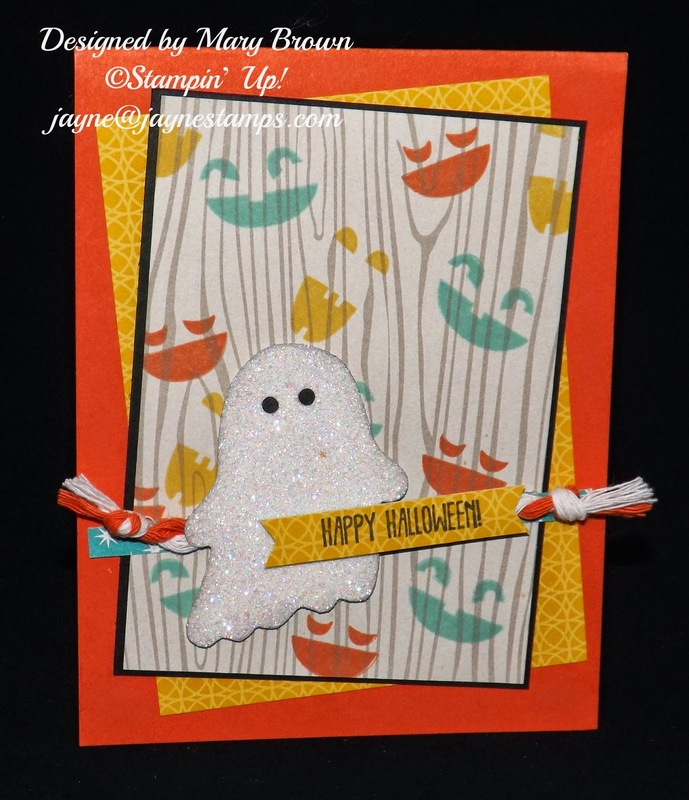 All of these card designs came from a tutorial by Create with Connie & Mary. You can download the tutorial for free by going HERE.